Everyone who records with us comments on how relaxed and enjoyable the experience is. Centered around the amazing Akai Professional DPS24 digital workstation, Sony’s Sound Forge 8/CD Architect 5 and the legendary Alesis Masterlink 9600 CD mastering unit, TTCMP can offer our clients sonic quality that even a few years ago would have been unavailable (or unaffordable) to all but the largest studios. Not only that, but we provide a comfortable, relaxed atmosphere that will bring out the best of your project, no matter what that might be. Recording, mixing, editing & mastering (up to 24 bit/96khz) of music from single songs & demos right up to complete CDs. We can assist in obtaining graphic design, photography & CD / cassette duplication. We can help you find session musicians for almost any instrument or musical style. Recording, mixing, editing & mastering of spoken word material (eg. books on tape). 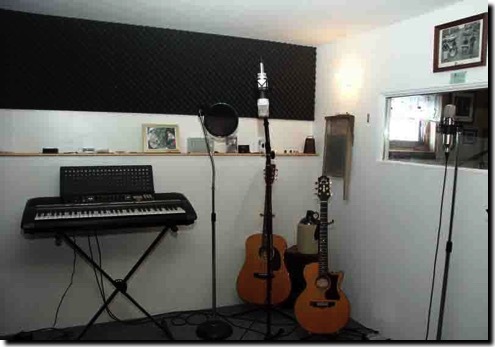 Facilities for narration, overdub & commercial production for radio, television & podcasting. Format transfers, transcription, restoration & archival services (eg. tape/vinyl/DAT to CD/DVD). Conversion of media to most popular digital download formats (mp3, AAC, Ogg Vorbis). We have some great “demo” song packages that can take away all the guess work in producing your first hit song! Click here for more information on our 1 song and 3 song packages. Never been in a studio before? Click on studio tips for some useful tips. Got some tracks or songs that you've done yourself on the computer? Bring them to us and we can "polish" them up for you. You'll be amazed at the difference it can make!